Hargrave recorded four tackles (two solo) during Sunday's 16-13 win over Cincinnati. Analysis: The big nose tackle finishes the 2018 season with 49 tackles -- including 6.5 sacks -- in 16 games. He has missed just one game in his three seasons in Pittsburgh and set personal highs in tackles and sacks. With one year remaining on his current contract, Hargrave should be back to anchor Pittsburgh's defensive line in 2019. Hargrave totaled four tackles (three solo) -- including a sack -- during Sunday's 33-30 loss to the Chargers. 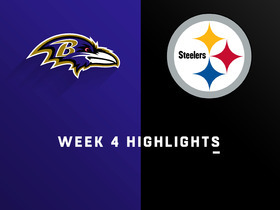 Analysis: Leading 23-7 at the half, Pittsburgh allowed 23 unanswered points before ultimately losing when Mike Bagley connected on a 29-yard field-goal with no time remaining. Adding to the frustration, the defense gave Bagley three opportunities to make his winning kick following consecutive offsides penalties against the Steelers. Hargrave now has 6.5 sacks and will look to add to that total in Week 14 against Oakland, which has allowed the fifth-most sacks in the league (39). Hargrave recorded four tackles (one solo) including a half sack during Sunday's 24-17 loss to Denver. Analysis: Ranked eighth among all defensive tackles with 5.5 sacks this season, Hargrave will look to add to that total in Week 13 against the Chargers, who have allowed just 16 sacks this season but seven of those in the last two games. Hargrave recorded four tackles (all solo) including two sacks during their 20-16 win against Jacksonville. Analysis: Pittsburgh came into the game tied for the league lead with 31 sacks and got to Jacksonville quarterback Blake Bortles six times. Hargrave now has five sacks this season exceeding the total from his previous two seasons combined. He'll look to add to that total in Week 12 against the Broncos, who have allowed 24 sacks but denied the Chargers in a 23-22 win on Sunday. Hargrave recorded six tackles (all solo) during Thursday's 52-21 win over Carolina. Analysis: This was the most tackles in a game for the third-year nose tackle, who now has 27 tackles on the season. He needs just six more tackles this season to exceed his career-best total of 32 tackles last season. He faces Jacksonville in Week 11. Hargrave recorded five tackles (two solo), including a sack, during Sunday's 28-21 win over Cincinnati. Analysis: With two sacks in his last three games, Hargrave now has three sacks on the season, which is a personal best, and is on pace for eight on the year. 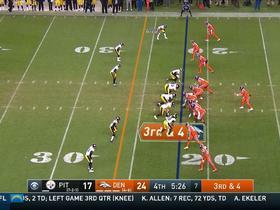 Overall, this was a solid defensive effort for Pittsburgh despite forcing no turnovers. They are a minus two in takeaways through six games and have a bye in Week 7. 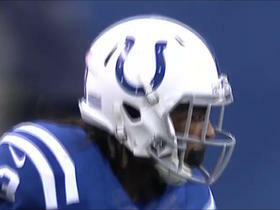 Hargrave had three tackles (two solo) including a sack during Sunday's 26-14 loss to the Ravens. Analysis: He now has two sacks this season, matching his total in each of his first two years. He'll look to add to that total in Week 5 against the Falcons, which have allowed three or more sacks in all but one game this season. 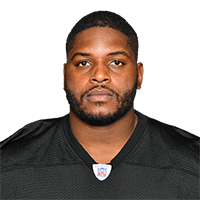 Hargrave, who recorded one tackle (solo) in Sunday's win over the Browns, finishes up the 2017 season with 32 tackles (21 solo), including two sacks and a forced fumble, playing in all 16 games. Analysis: Hargrave matched his sack total from his rookie season, and provides a solid presence at nose tackle. 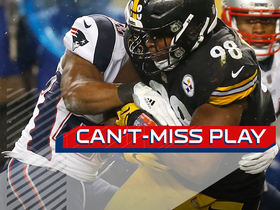 His most dominating performance was a 10-tackle effort in Week 5 against Jacksonville, who Pittsburgh would host in the divisional round if the AFC playoff seeding holds form. 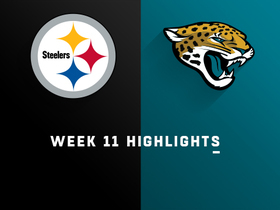 Watch the best plays from the Week 11 matchup between the Pittsburgh Steelers and Jacksonville Jaguars. 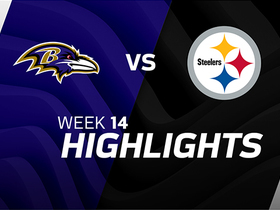 Watch the highlights from the Week 4 matchup between the Baltimore Ravens and the Pittsburgh Steelers. Steelers big man Vincent Williams gets the interception and Tony Romo loves it. 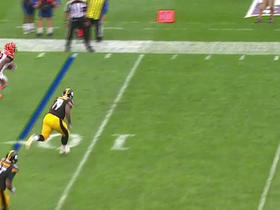 Watch the best plays from the week 14 matchup between the Baltimore Ravens and Pittsburgh Steelers. 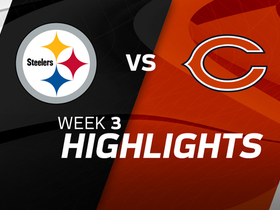 Check out the highlights from the Chicago Bears' overtime victory against the Pittsburgh Steelers in Week 3. Indianapolis Colts QB Scott Tolzien connects with wide receiver T.Y. Hilton for 18 yards. Pittsburgh Steelers nose tackle Javon Hargrave recovers Cleveland Browns quarterback Josh McCown's fumble for touchdown. Cincinnati Bengals running back Jeremy Hill turns on the speed for a gain of 25 yards.